In ancient China, Shandong served as a major supplier for export trade, a pivotal gateway of north china for external exchanges, and an important transportation hub of the “Land Silk Road” and “Maritime Silk Road”, thus playing a vital role in the originating and developing of the silk and road. As the bridgehead of the new Eurasian Land Bridge basically overlapping the ancient Silk Road, Shandong is linked through the Silk Road Economic Belt with the energetic Asia-Pacific region to the east, the resourceful central Asia in the middle and developed European economies to the west. Over 40 countries and regions along the Silk Road enjoy economic partnerships and great win-win cooperation potential. Shandong has developed economic and trade relations with over 220 countries and regions across the world, and established sister-city and friendship-city ties with 437 overseas cities. The convenient three-dimensional traffic network on land, water and air enlarges Shandong’s circle of friends. 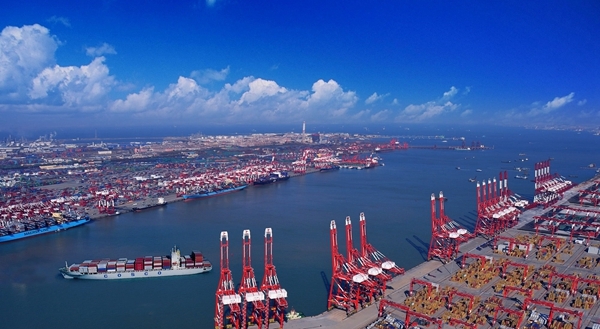 It has seven coastal ports including Qingdao port, Rizhao port and Yantai port that handle over 300 million tons of cargo. Its high-speed railway and highway reach the mileages of 1,240 kilometers and 5,821 kilometers respectively with its railway running through central Asia and Eastern Europe. Besides, it has four international airports in Jinan, Qingdao, Yantai and Weihai with 25 nonstop international lines.